and become a CoCreateX Member! 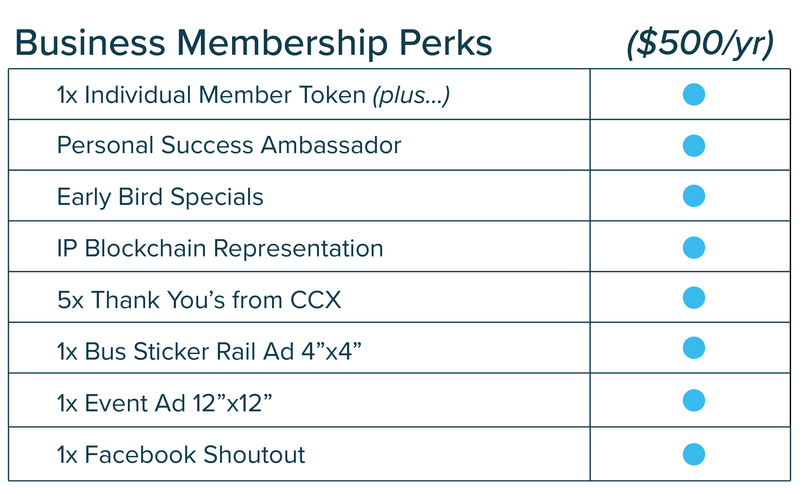 When you sign up for a $50 annual CoCreateX Membership you’ll be given a certificate and NFC-enabled CHANGE(TM) token to unlock the power of the CoCreateX community. You’ll receive exclusive access and invitations to events for inspiration, entertainment, and jobs doing what you do best. You’ll gain access to free or discounted workshops to advance your creative skills. Workshops are led regularly on topics like welding, podcast recording, origami, cooking, screen printing, laser cutting, and the list goes on! Are your needs more enterprising for your growing business? We offer Business Memberships including special access, notice, discounts, and advertising to get your business out in the world and gaining traction. You will even get a personal success ambassador dedicated to helping you and your business succeed. *We live our lives every day trying to help people with their projects, but we make it our mission to make sure we help our Members with strategic referrals and introductions to advance their goals. 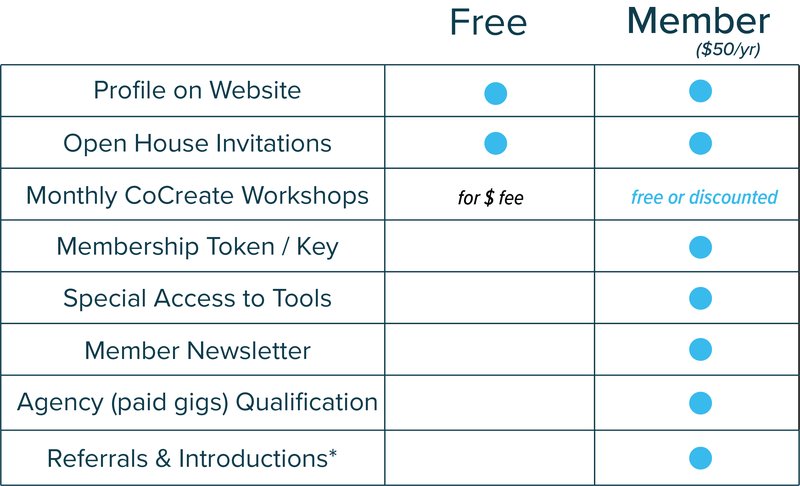 CoCreateX CHANGE(TM) is a blockchain-backed membership token, all about making a difference. Your $50 will go toward growing and empowering you as a creator. We’ll get you connected with the right communities of co-creators from across our platform. Registrations are written into the CoCreateX blockchain as a permanent, immutable record of your purchase. 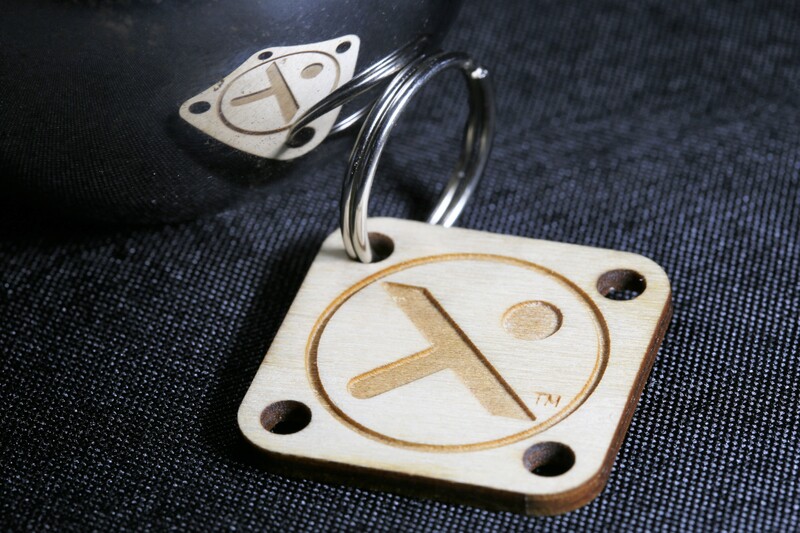 You can tap an NFC-enabled smartphone to your CHANGE(TM) token to get straight to your CoCreateX.com profile. CoCreateX exists to empower, celebrate, and sustain helpful people. Are you looking for creative and/or technical work? We can help you find something that’s right in your wheelhouse. Is your company looking to develop your product portfolio and grow your business? We can help you find talented consultants who can cocreate your solution. We have a deep pool of talented cocreators backed by a team of professionals to help with legal, financial, and critical management. Email us at Team@CoCreateX.com to take the next step.